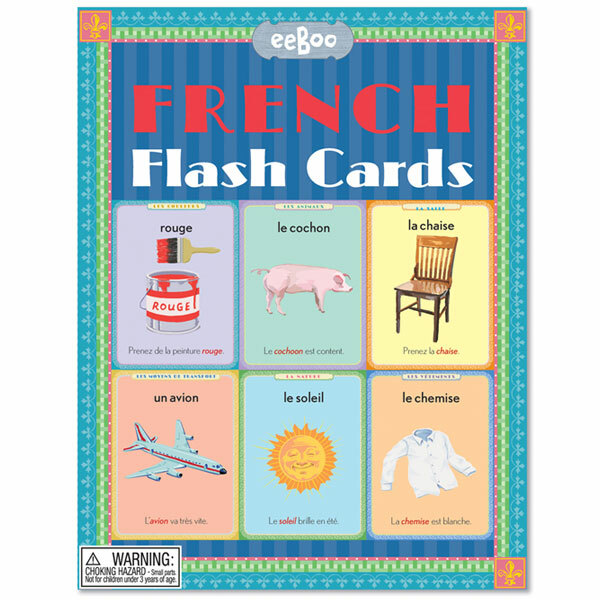 I love these French flash cards by eeBoo because they are beautifully illustrated and look and feel like really good quality, as does the sturdy cardboard box in which they are stored. 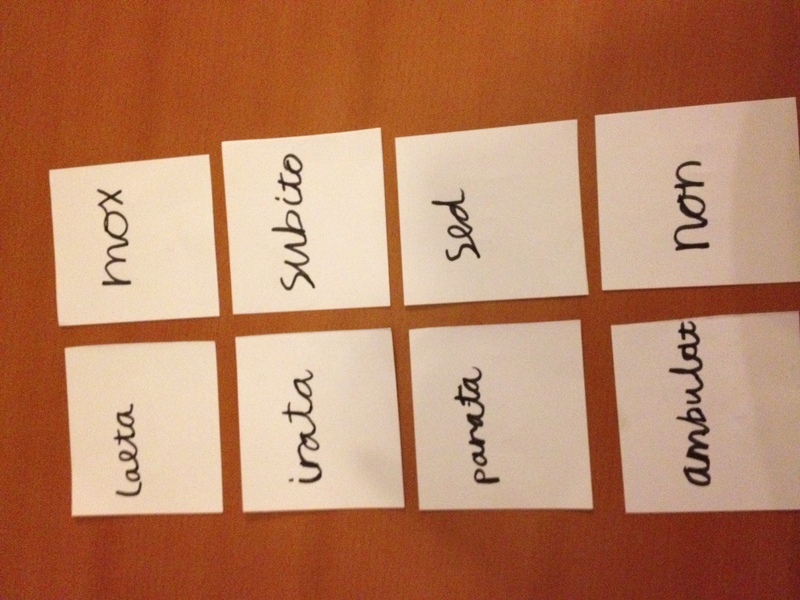 There are 56 cards – eight words in each of seven categories. They are: vehicles, colours, clothing, market, room, animals and nature. 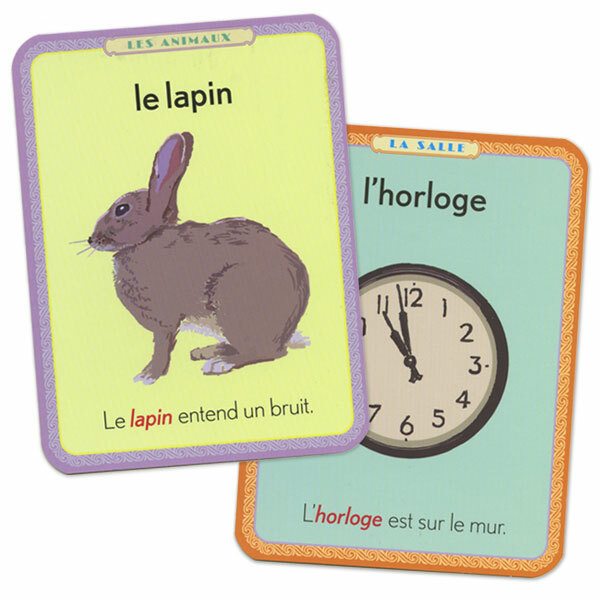 Both the English and the French sides of the card feature the name of the category, the word, a picture and a sentence containing the word. 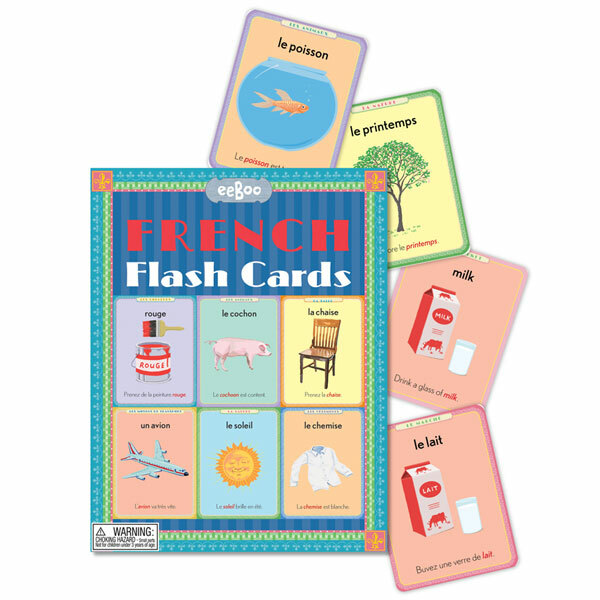 The set also includes suggested games and activities, and a pronunciation guide. American usage aside, what I love about these cards is that, among so many educational resources for children, they stand out because they are both beautiful and useful. 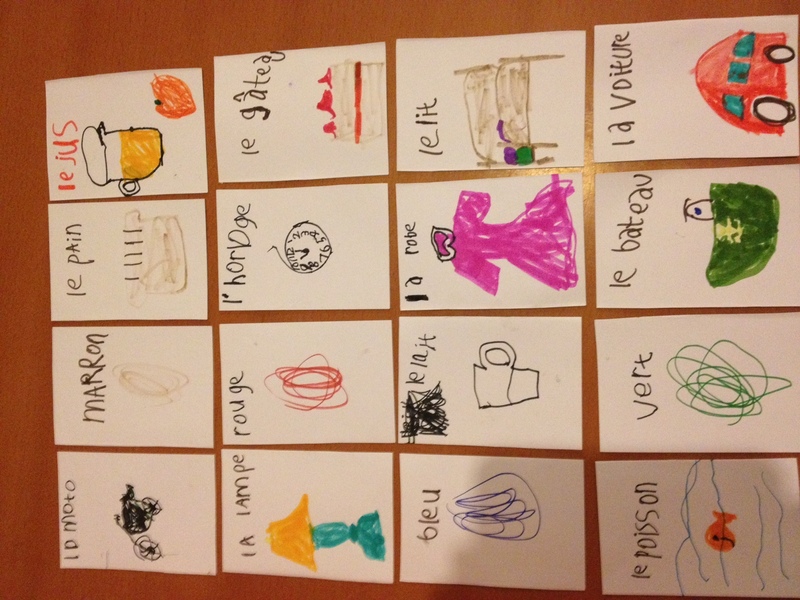 This entry was posted in French and tagged eeBoo, flash cards, French on May 15, 2012 by Hannah.